Thank you YouTube. And thank you to all the contributors who have shared how-to videos of jiu jitsu moves. You got me out of a bind, this week. While following David (the main character of my middle-grade novel about kid spies) on his first mission, he led me into a situation where an attacker gains the upperhand and pins David to the ground by pressing a knee to his chest. Fortunately, David has been active in martial arts for years and has also been fighting his older brother (who regularly sits on his chest during scuffles) for even longer, so escaping from this situation required a specific move that was very familiar to David. Unfortunately, it was not familiar to me at all! And I’m the one who has to write it! Lucky for me, I have YouTube and dozens of jiu jitsu-ing YouTubers who have taken the time to explain the process of escaping from a “Knee on Belly” position. From the surprisingly high number of options a person has to escape from a Knee on Belly, I chose the one below because it made the most sense for the characters. Thanks YouTube and YouTubers! You saved David from a perilous Knee on Belly. My wife has put me to the test. For months, I’ve been developing my first middle-grade novel (and potential series) about an agency of kid spies. I’ve been working diligently around my day job on plot development, character development, thematic development… but this week, my wife (Katherine Roy, who is an author and illustrator for children’s picture books), said it was time for me to stop riding the fence and write the darn thing. “How many hours would it take to get it done?” she asked. “Two hundred, maybe,” I said. “Are you going to get a readable draft done in a month?” she asked. 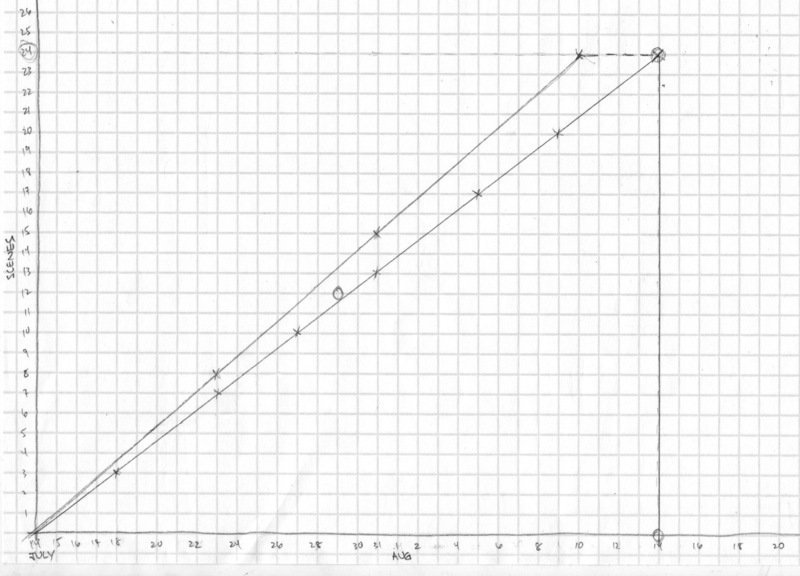 So, here’s the Alec Longstreth-inspired chart I made for myself (# of Scenes x Days). By staying on schedule with the top line, I will finish four days early and have time to tweak the draft before I let anyone read it, while keeping up with the second line will get the book done on August 14th (the little X’s are checkpoint goals and the little circle is the halfway point). Look out world, here come the Li’l Nauts! This November, Mansion Comics will be publishing the very first story of Li’l Nauts in the children’s comics anthology Eggbert (also, it will be my very first published work!). Li’l Nauts is a spinoff of the characters N-Man, Hypernaut and The Fury from 1963 and Tales of the Uncanny, running with the idea: what would these characters be like if they were all under 10 years old and living in suburbia? Similar to the spinoffs Tiny Titans, Mini-Marvels or Muppet Babies. The result is a mash up of these modern superhero characters with the classic style of kids comics like John Stanley, Carl Barks and Dell Comics from the 1950s and 60s. The amazing Jason Week joined me on this idea and with Steve Bissette’s support we created a series that could potentially expand into many many stories. We hope it will. 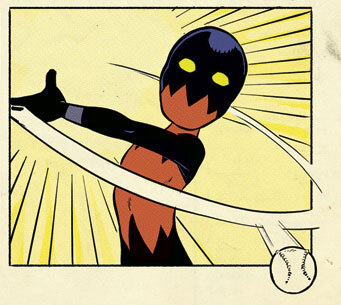 Check out the samples of Jason’s fantastic art below from the first 4-page story I wrote titled “Li’l Nauts: Hypertot at the Bat”, in which Hypertot struggles to learn the game of baseball. Li’l Nauts™, The Fury™, N-Man™, The Hypernaut™ and Queep™ © and TM Stephen R. Bissette, by contractual arrangement with the original co-creator; all rights reserved. 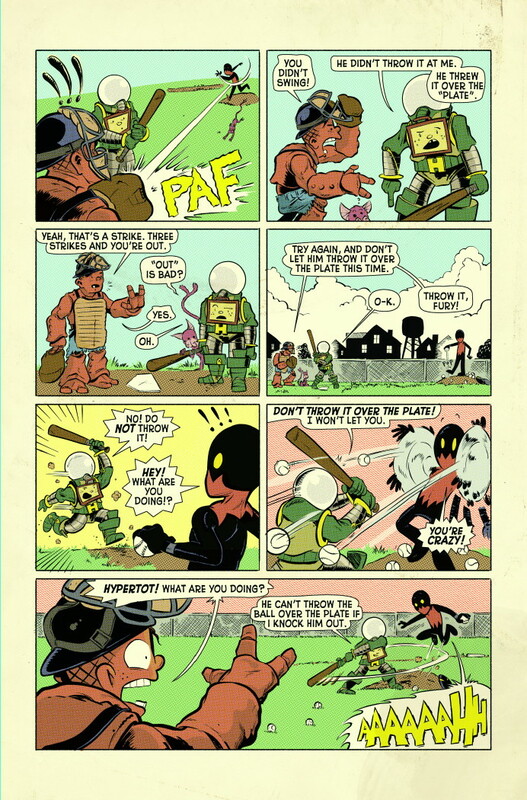 Li’l Nauts™ was created by Tim Stout and Jason Week; ©2011 Stephen R. Bissette, by contractual arrangement with the co-creators; all rights reserved. 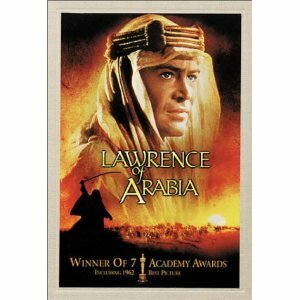 I recently watched Lawrence of Arabia for the first time and noticed a number of similarities to other stories I’ve read and watched over the years. The patterns I found could come in handy when creating a hero worthy of a legend. Lawrence of Arabia is based on a true story about T.E. Lawrence, an officer in the British army during World War I, who unites warring factions of the Arab people against a common and formidable enemy, the Turks. He inspires them with the promise of an independent nation (freedom) and risks his life on the battlefield again and again for the Arab people and for the value of freedom. Short Notes on Long Comics is Now an Ebook! 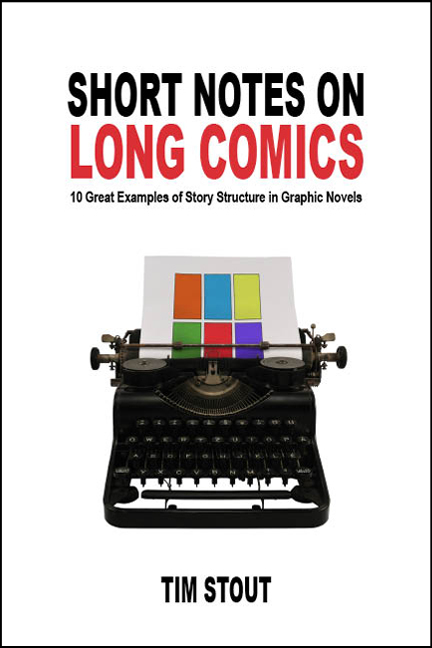 Short Notes on Long Comics: 10 Great Examples of Story Structure in Graphic Novels is now available on Kindle for only $0.99! Since I know very little about html coding, I used a template at kindletemplate.com to design the book in Open Office. It was so easy to learn that I designed my book for both Kindle and Nook at the same time and had them uploaded within a few hours. One day later, Short Notes was available on Kindle and 24-72 hours from now the same will be true for Nook. Piece of cake. Feel free to download a sample of Short Notes and let me know what you think of it. I look forward to hearing your responses!